For a Michigan mystery magazine editor, David Loogan sure has a busy nightlife. Instead of cocktail parties, however, Loogan is more likely to be found at crime scenes. 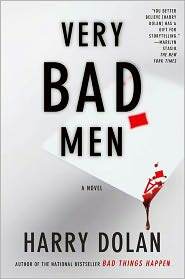 Readers of Harry Dolan’s debut, Bad Things Happen, know that the editor of Gray Streets isn’t afraid to get his hands dirty with more than ink, and in Very Bad Men, he is back at it when a unsettling manuscript turns up at the office door. The tale amounts to only a few pages, but it describes two real-life murders already committed and one more planned. Convenient for his continued involvement in the case, Loogan’s “almost-wife,” Elizabeth, is an Ann Arbor police detective. She has already opened up an investigation into an attack on the manuscript’s proposed third victim. Alerting her to the content of his latest find, Loogan and Elizabeth drive to the Upper Peninsula to research the previous killings and it’s revealed that the story’s players were all involved in a decades-old bank robbery that ended with a good cop paralyzed. It turns out the killer—readers know early on his name is Anthony Lark—has an unhealthy fascination with the injured officer’s daughter, who is running for US Senate. The questions multiply: Is someone putting him up to this? For what reasons? Using Elizabeth’s connections and access, Loogan is soon making his own inquiries, parallel to the official investigation. 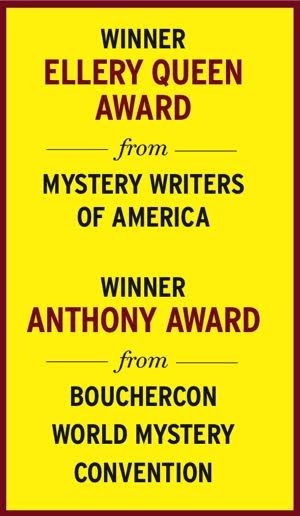 With a keen eye for detail, he excels in the kind of stubborn dedication combined with imagination that marks many an amateur sleuth, while Elizabeth keeps him from getting into too much trouble. Well, he does get shot in the stomach, but that’s just another typical day in the life of a mystery magazine editor, right? Dolan makes sure that both the characters and dialogue stay rough around the edges, just like the scenery of northern Michigan, giving Very Bad Men a satisfyingly realist bite. The game is afoot when a manuscript containing murder turns up at the office of editor David Loogan. "Quoting, like smoking, is a dirty habit to which I am devoted."